We often use this blog to share examples of how CPA firms can leverage technology in the cloud to improve their practices. The convenience, scalability, and lower costs of cloud computing have helped even the smallest practices remain competitive. Within cloud computing resides a whole host of services, including cloud software, designed to make accounting firms more efficient. 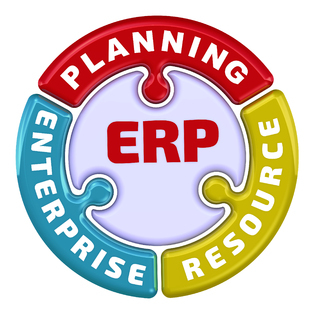 One such software-as-a-service model is enterprise resource planning (ERP) tools. This post explores everything you need to k ow about ERP, including what it is, which platforms are the best, and how it’s changing accounting. Can ERP offer value-adds for clients seeking to drill up or drill down on financial statements? IT Outsourcing 101 – What is ERP? Having accurate data across all departments is just one benefit from what are very sophisticated tools for modern business. ERP platforms synchronize data simultaneously across all business functions. Sales can flow into bookkeeping and then bill. Customer order processing flows into inventory and vendor management. Everything is tied together in one dashboard or hub connecting all separate business functions. Data can be automated for reporting purposes, and business intelligence can be sliced, diced, and analyzed as part of the process. Real-time global view of data. Automates basic business functions such as order fulfillment. Gives a more accurate picture of finance and sales. Companies use ERP software to gain a 360-view of all their basic processes, and can then develop strategic growth plans based upon prior historical trends. These are all good reasons for accountants to become the expert in these platforms in order to add value for business clients. Get a free assessment of how your technology infrastructure can add value for your customers. An article in the International Management Review illustrated exactly why ERP software is so important to accounting firms, “Besides finance, accountants are expected to be business partners, technology experts, and strategy allies…” The article pointed out that accounting firms provide consulting services in ERP for enterprise-level companies. While the software provides the data, CPAs have the intellectual capacity to interpret and find meaningful insight from it. What may help bolster your résumé and financial credentials is experience and training in ERP software, such as Microsoft Dynamics GP. If you can demonstrate that you know how to use ERP software and can even train others to use it, employers will view you as a prospect much more valuable than someone who only knows numbers. ERP software is all about repositioning traditional accounting practices into strategic business advisory services. The software is much more sophisticated than typical accounting software. They impact the entire enterprise and CPAs can be poised to make effective use of this technology in order to strengthen their relationship with the client by providing expertise in interpreting ERP data.